The H2O ENERGIZER Personal Use System makes any water more biofriendly—and therefore more bioavailable—to your cells. 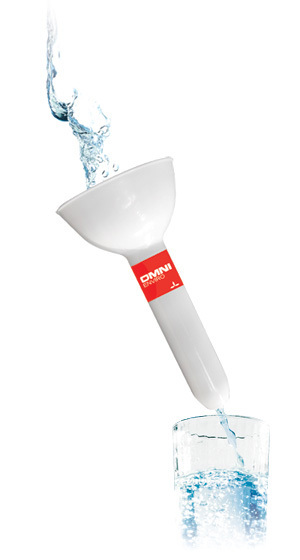 Omni Enviro’s magnetic resonance reduces and restructures oversized water molecule clusters into smaller units, with six water molecules in each cluster. These hexagonal-shaped clusters are recognized by plant—and human—cells as biofriendly, which allows them easy passage into the cell structure. This fuller hydration, which delivers more oxygen and nutrients, allows the body to operate at a higher state of efficiency and immunity. A one-time investment in an H2O ENERGIZER Personal Water System provides ten years of healthy drinking water, as well as more productive water for house plants. The money saved, convenience provided, and support for bodily functions makes the H2O ENERGIZER the best health insurance you can buy for you and your family. In addition to the health benefits of magnetized water, when using the H2O ENERGIZER Personal Use System, you will experience improved taste, texture, and consistency of your water.